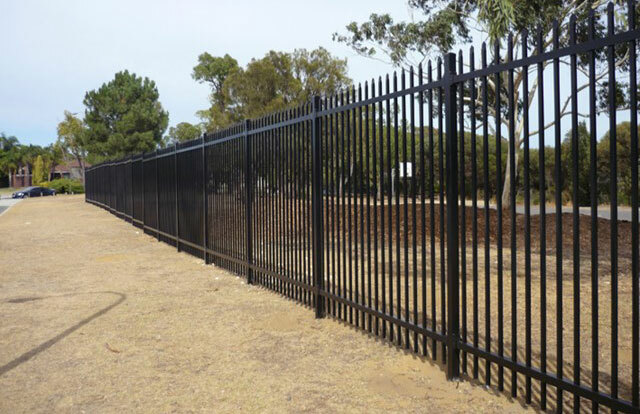 Unsure which fence best suits your project? Here's a good place to start & find the right fence. 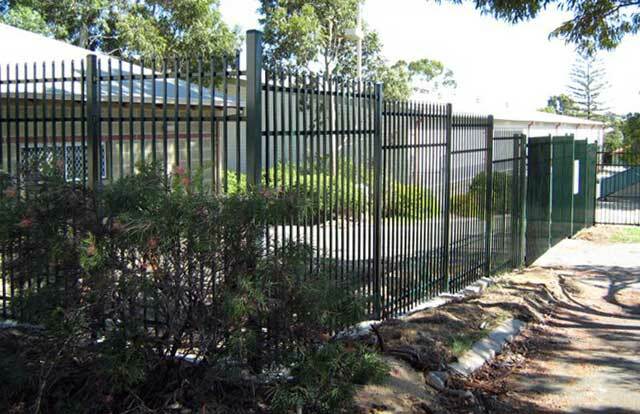 Garrison Fencing is a steel security fencing system designed to provide strength and security while avoiding the industrial look associated with other fencing products like chain-wire fencing. 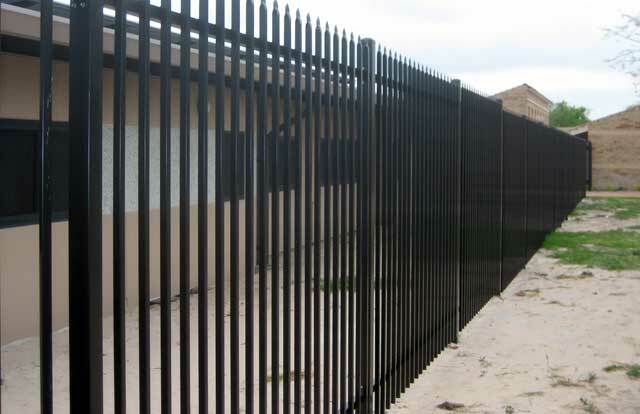 Garrison Fencing looks good and will enhance the value and appearance of your property. 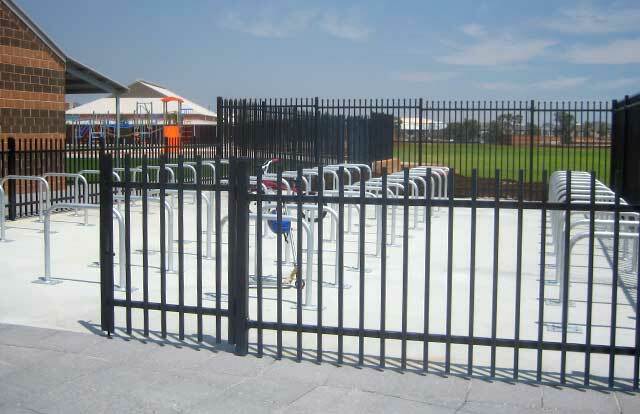 With such a wide range of customisable options available, this is one of the most popular security fences used in Perth. 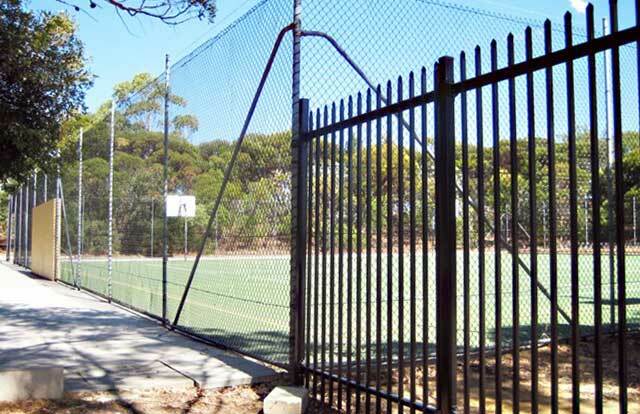 Fencing where a medium level of security is important. 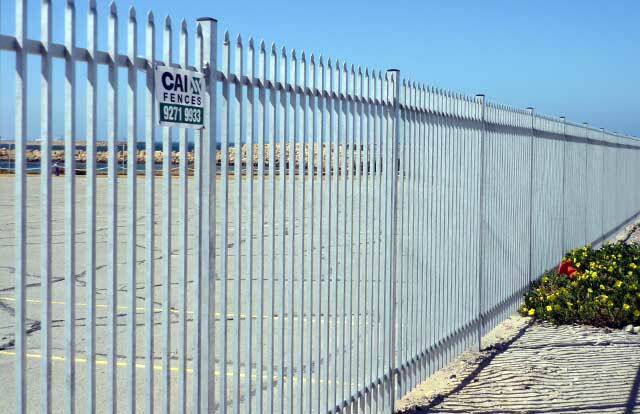 Constructed from heavy duty tubular steel, our Garrison Fencing is pre-galvanised and powder coated to ensure strength, durability and value-for-money. Locking - 12 mm galvanised chain welded each gate leaf. Finish - Powder coated to your colour choice. 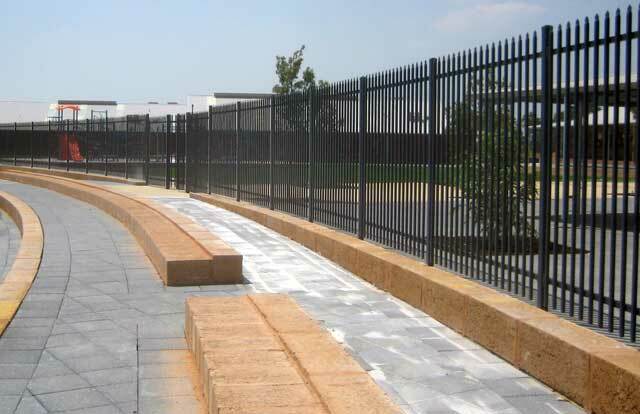 Standard Garrison panels are 2660 mm (W) x 2165 mm (H) with pickets spaced at 130 mm centers. 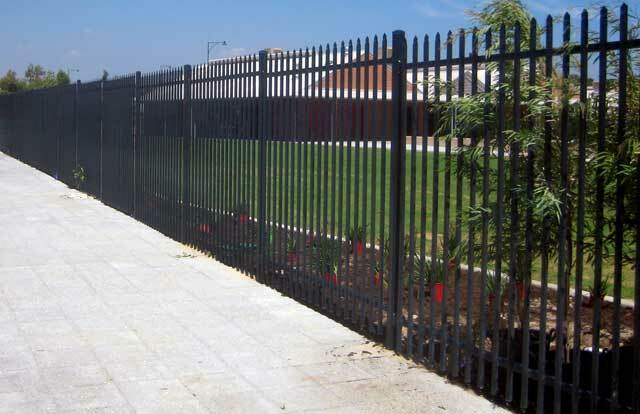 With a nominal clearance of 100mm above ground level, the overall fence height will be approximately 2265 mm. 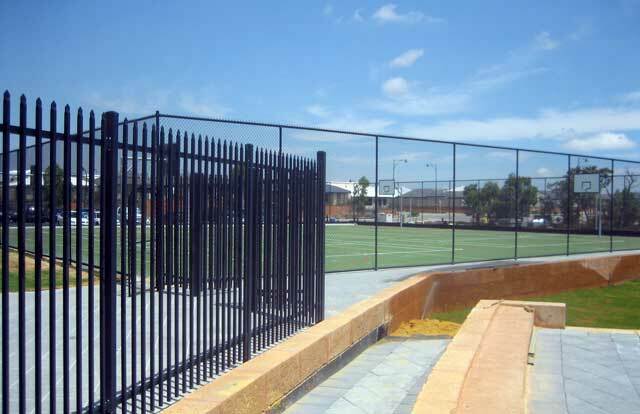 This height is similar to conventional chain mesh security fence with three rows of barbed wire. 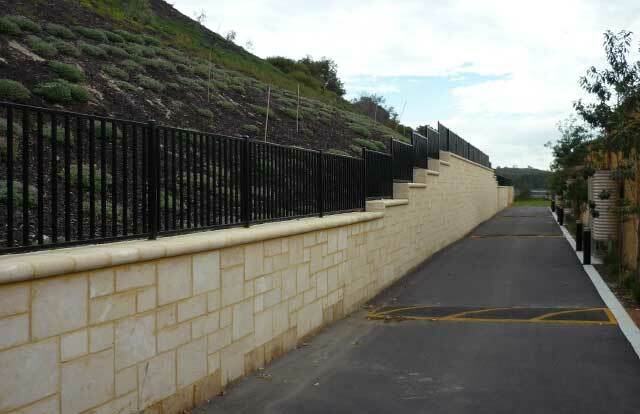 The standard Garrison panel height is 2165 mm however material specification and dimensions can be varied to meet any architectural or design requirements. Anti-Tamper tech screws on request. Personal Access Gates - Standard size gates suit a 1000 mm opening but the width can be varied as required. 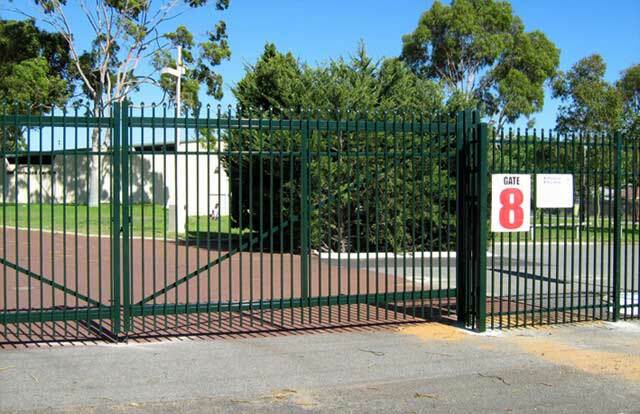 Vehicle Access Gates - Standard size swing style opening gates are made to suit a 3000 mm opening pair. However, Garrison gates are available for any opening dimensions. Very large openings require a heavier frame and post sections. Custom designs are available and all Garrison gates can be; Swing Gates or Sliding Gates with manual or automatic openings.